Sometimes rumor, sometimes based on fact and often misunderstood, the tenets of Islamic law and dogma were not set in the religion's founding moments. They were developed, like in other world religions, over centuries by the clerical class of Muslim scholars. 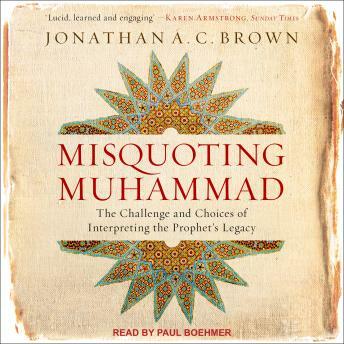 Misquoting Muhammad takes listeners back in time through Islamic civilization and traces how and why such controversies developed, offering an inside view into how key and controversial aspects of Islam took shape. Misquoting Muhammad lays out how Muslim intellectuals have sought to balance reason and revelation, weigh science and religion, and negotiate the eternal truths of scripture amid shifting values.